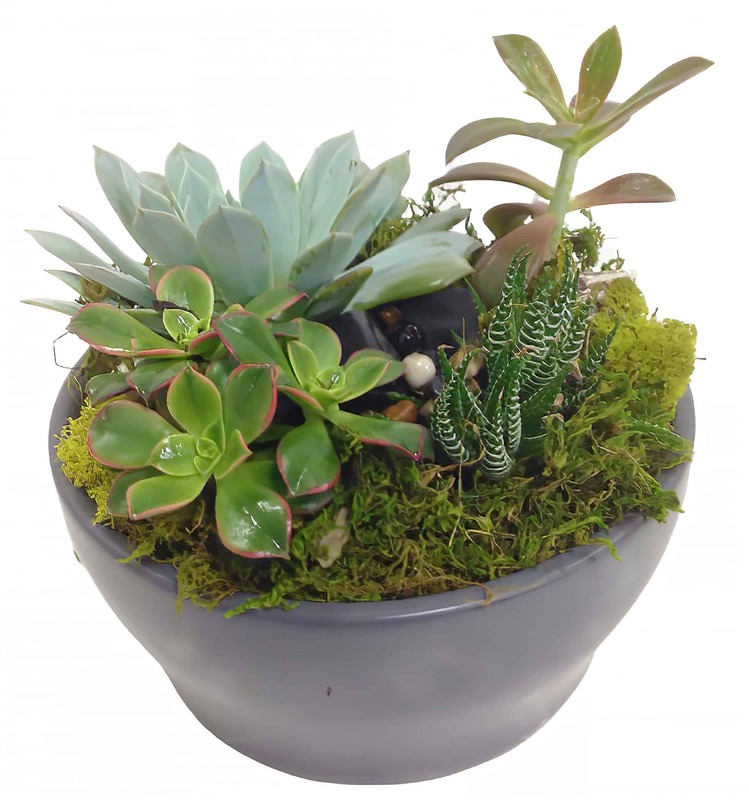 This mini succulent garden will be a sure hit with it's vibrant color and many textures that will add a little green to any room or office! It's easy to care for and the succulents can always be replanted outdoors if one wishes. Ceramic container is subject to availability, 9" diameter and 4" high.